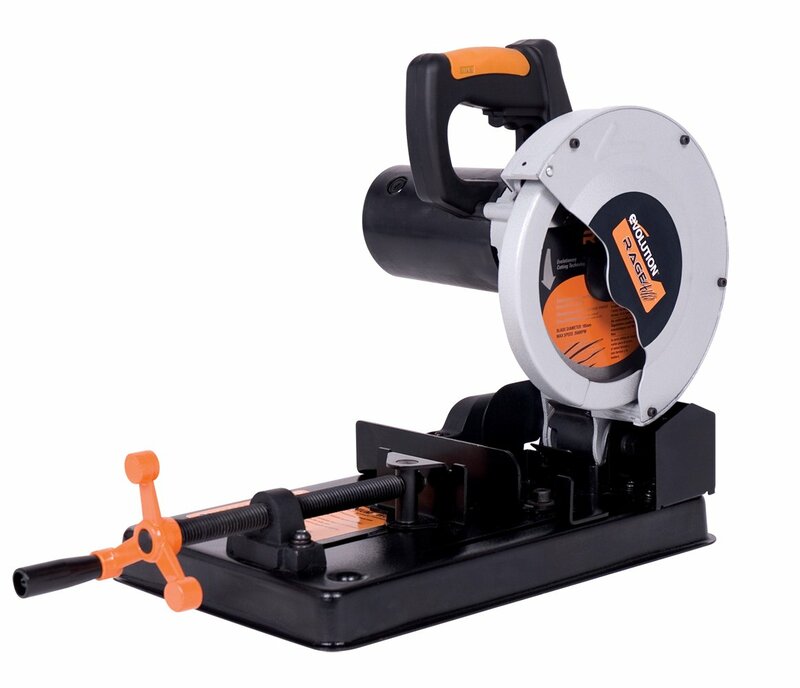 When it comes to chop saw, it is considered as a powerhouse in the field of cutting tools. 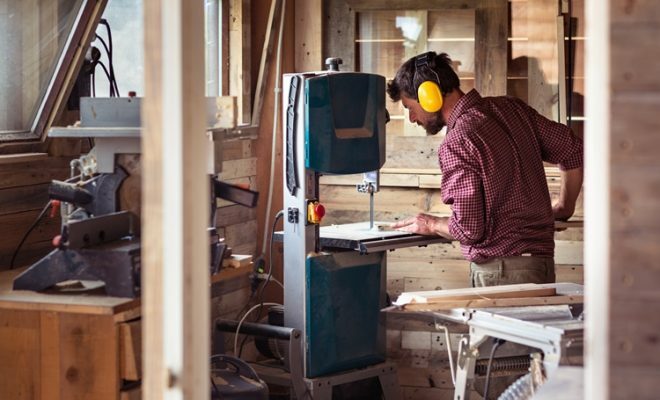 Many people often confuse it with a miter saw thanks to their similar external appearance. 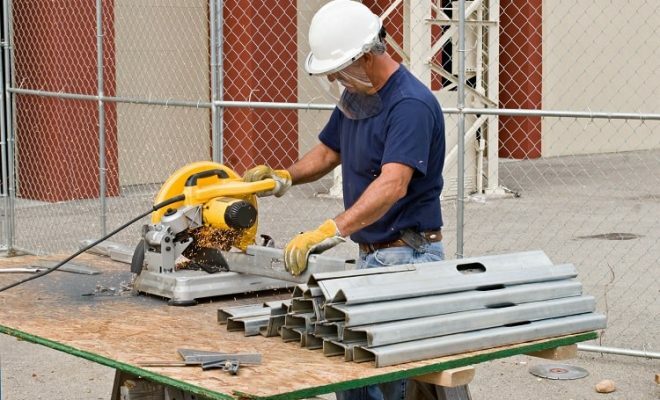 However, when the chop saw can handle all kinds of metals, plastics, and wood with a certain ease, the miter saw is generally restricted to simple wood cutting projects. There are three types of blades which are normally used in the chop saws. Starting with the normal blade, it comes handy for all those customers who’re looking to use this saw for cutting wood. Then comes the carbide-tipped blade which can be used to cut through a number of different materials. Finally, if you’re looking to use this saw on dense metal, there is no better option than an abrasive disc. Regardless of your personal preference, there is a wide range of chop saw models which are available in today’s market. 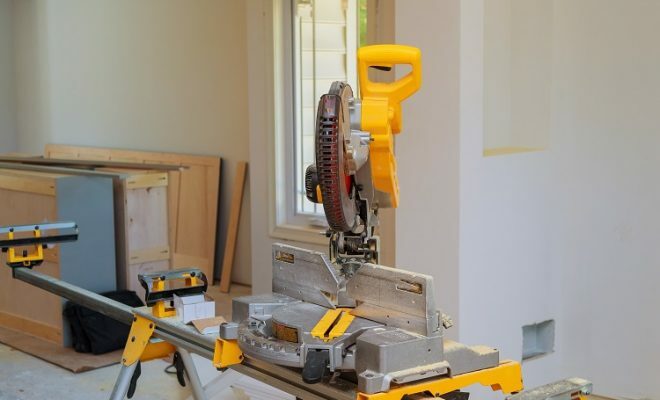 Incorporating a hinged arm design along with a sturdy base, this power tool – if chosen carefully – can help you cut through the densest of materials within absolutely no time. 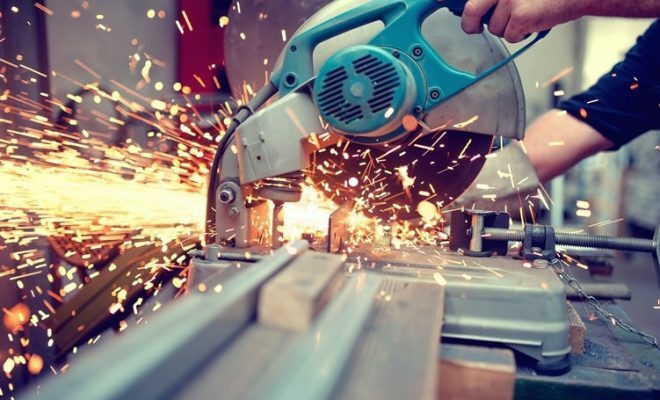 So, how to choose the best chop saw 2019? And which chop saw model can serve your needs in an imperious manner? In order to answer all such questions related to the chop saw, we’ve prepared the below-mentioned guide. 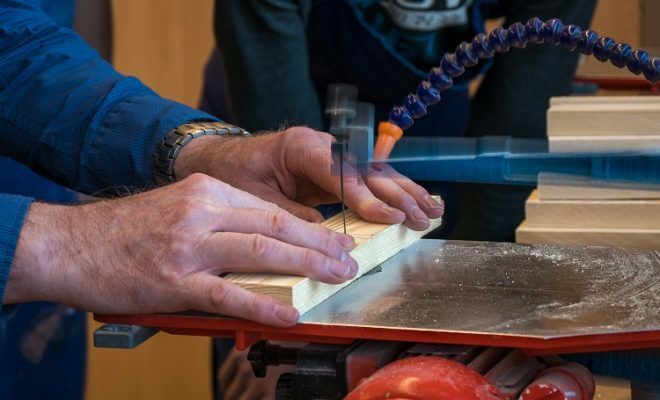 Incorporating 7 best chop saw reviews, this guide is of the great essence for all those woodworkers, metal workers and other such professional contractors who want to purchase an indispensable cutting tool. While choosing the best chop saw, it is imperative to look for a number of different features. Starting from the power source, it includes RPM, size of the blade along with the warranty which the manufacturer is offering on that particular purchase. If you’re looking to purchase a high-quality metal cutting saw, one which can also handle plastic, wooden trusses along with other such materials, have a look at the DEWALT D28715. Incorporating a powerful 15AMP motor, this particular tool is capable of producing a staggering 5.5HP on your job site. 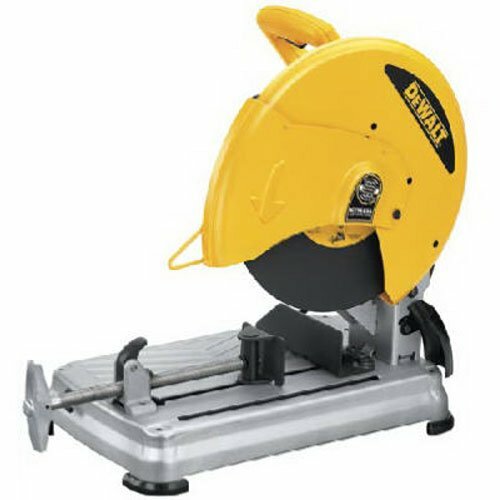 It also comes with a no-load speed of 4000 RPM which, as compared to other metal chop saw reviews, is more than enough for ripping through the densest of materials. 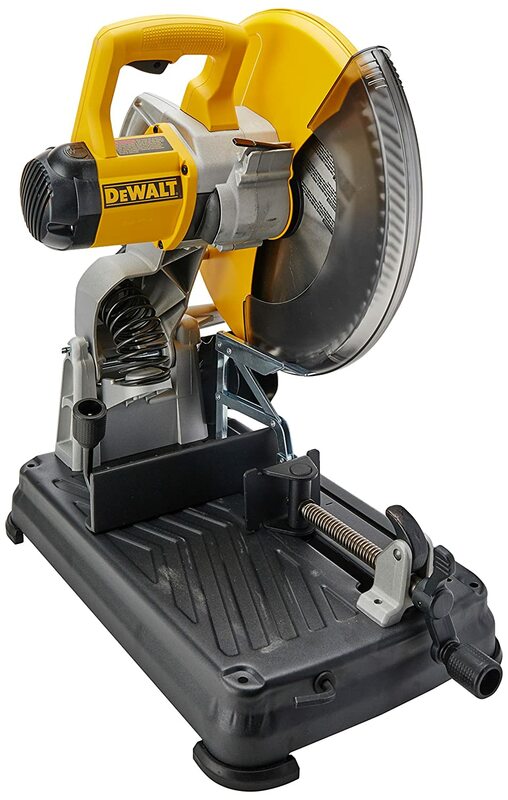 This power tool features a durable construction and when the manufacturer is offering a three-year warranty with the DEWALT D28715, it makes it one of the best metal chop saws in the market. For added convenience, the DEWALT D28715 comes with a quick-lock vise. It is basically a superior grip system which keeps the material, on which you’re about to make a cut, from moving. There is no need for any kind of tools for this purpose as you can clamp the materials in place without any such item. It means that after making cut on one material, you can hold another material in place in a matter of few seconds. 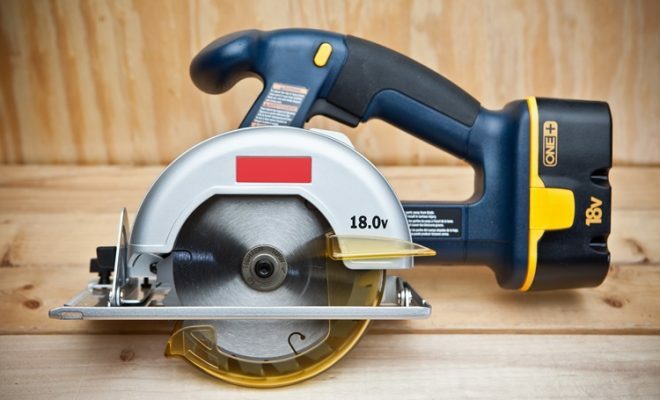 If you’re already purchased any metal cut off saw in the past, you might be aware of the fact that a majority of these power tools aren’t designed for making angled cuts. A vast majority of chop saws can be used for making straight cuts only which seems to be a big problem with all those customers who’ve to make a number of different cuts via this particular tool. In order to solve this problem, the manufacturer has provided this metal chop saw with a pivoting fence. Depending on your cutting needs, you can set this fence up for making miter cuts from 0-45 degrees. For this purpose, you’re going to need a fence wrench which is also included with this purchase. The DEWALT D28715 uses a powerful, abrasive wheel for ensuring an efficient metal-cutting application. This 14-inch wheel comes with a durable construction and as already mentioned, you can use it for making straight as well as angled cuts on a number of different materials. When it comes to replacing one wheel with the other, it is pretty easy. Just like the quick-lock vise, it features a tool-free mechanism. It means that even if you’ve to do it in the middle of your cutting job, you never have to waste time while looking for the perfect wrench. Hence, this metal cut off saw can help you finish your job in a short time. The DEWALT D28715 is one of the best metal cutting saws which you can purchase from today’s market. Incorporating a long list of superb features, including quick-change blade design along with quick-lock vise mechanism, this product also comes with a soft start feature for ensuring a long-term durability. The Evolution Power Tools RAGE4 is designed for all those of you who’re looking to make a budget-oriented purchase. Offering a versatile cutting blade, this product is unique in the sense that you don’t have to change the blade while going from one material to the other. It means that when you can use this blade for ripping through rebar, the same blade also comes handy for slicing through wood, aluminum or even steel. The Evolution Power Tools RAGE4 incorporates compact dimensions for your convenience. The manufacturer has designed this unit in such a way that the overall weight of this unit is just under 20lbs. Such a lightweight construction makes it easy to carry this cold cut saw. 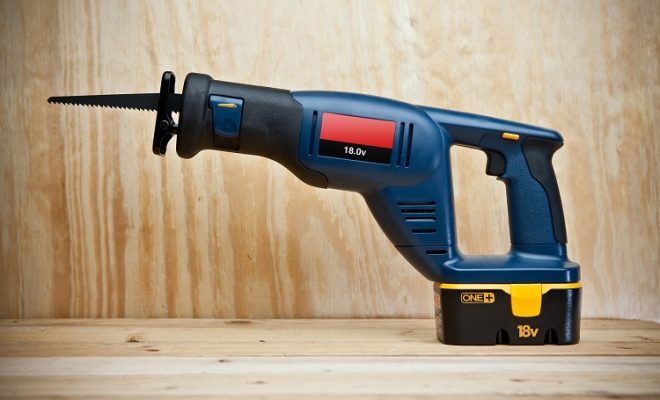 Furthermore, it also results in lesser storage space which is being required by this power tool. Featuring a 10-amp motor, the Evolution Power Tools RAGE4 makes use of a 7 ¼-inch cutting blade. The 20-tooth blade comes included in this purchase which means that you don’t have to purchase it separately from the market. This blade, when combined with the affably powerful motor, is capable of producing a no-load speed of 3500 RPM. Apart from making straight cuts with the Evolution Power Tools RAGE4, you can also use this cold cut saw for making miter cuts in the range of 0-45 degrees. All you need to do is just to adjust the material clamp which is designed to the base of this unit. For added convenience, the common angles come marked on the base of the Evolution Power Tools RAGE4 which makes it easy to cut at your desired angle. One thing which is very impressive about the Evolution Power Tools RAGE4 is that it tends to produce very few sparks while cutting through materials. This product ensures burr-free cutting so you don’t have to apply any sort of coolant. In addition, it also ensures the safety of its owner who doesn’t have to handle a hot material. The Evolution Power Tools RAGE4 comes handy for all those of you who’re looking to purchase a portable chop saw. Incorporating a lightweight design, this product features one blade which can cut through a wide range of materials. In addition, it comes at a pretty reasonable price which eventually gives you a good value for your money. The SKILSAW SPT64MTA-01 is a tough yet lightweight chop saw which comes with a good enough cutting capacity. Featuring a 15AMP motor, the overall weight of this metal cutting saw is no more than 33.9lbs. When the former makes it an efficient cutting tool, as this product runs at a no-load speed of a 3500 RPM, the latter ensures that you can easily transport this saw from one job site to the other. Also included in this purchase is the miter fence which allows you to make miter cuts, from 0-45 degrees, at either side of the base. The SKILSAW SPT64MTA-01 comes with a 14-inch abrasive wheel which is good enough to cut through a wide range of metal materials. The wheel comes with a maximum cutting capacity of 5-inches, in case of the round metal pipes, and a further 4.75-inches for square pipes. As a result of such a staggering cutting capacity, you can use the SKILSAW SPT64MTA-01 in various heavy-duty projects, including metal fabrication as well as HVAC. For making it a versatile cutting tool, one which can handle materials of various lengths, the manufacturer has provided an easy to adjust vise assembly with the SKILSAW SPT64MTA-01. Depending on the cutting material, you can adjust the vise back and forth without any hindrance. The vise allows you to clamp the materials in place and when it can be done without any sort of tools, it eventually results in increased productivity at an enhanced rate. The SKILSAW SPT64MTA-01 incorporates a stamped steel base for added stability. It is quite a spacious base and for handling the densest of materials, it comes with a real heavy-duty construction. The steel base allows features on-board tool storage which comes handy for storing the blade wrench. As a result, you never have to worry about losing your tools while using the SKILSAW SPT64MTA-01. If you’re looking to purchase a high-quality cutting tool without spending too heavily, the SKILSAW SPT64MTA-01 is one of the best metal cutting saws which you can purchase from today’s market. This power tool comes with a suitable fusion of effective performance along with a lightweight construction. The ergonomic D-handle makes it easy to operate and for your convenience, the manufacturer is offering a 180-days money back guarantee on purchasing the SKILSAW chop saw. If you’re looking for a cheap chop saw, this might not be your ideal purchase. 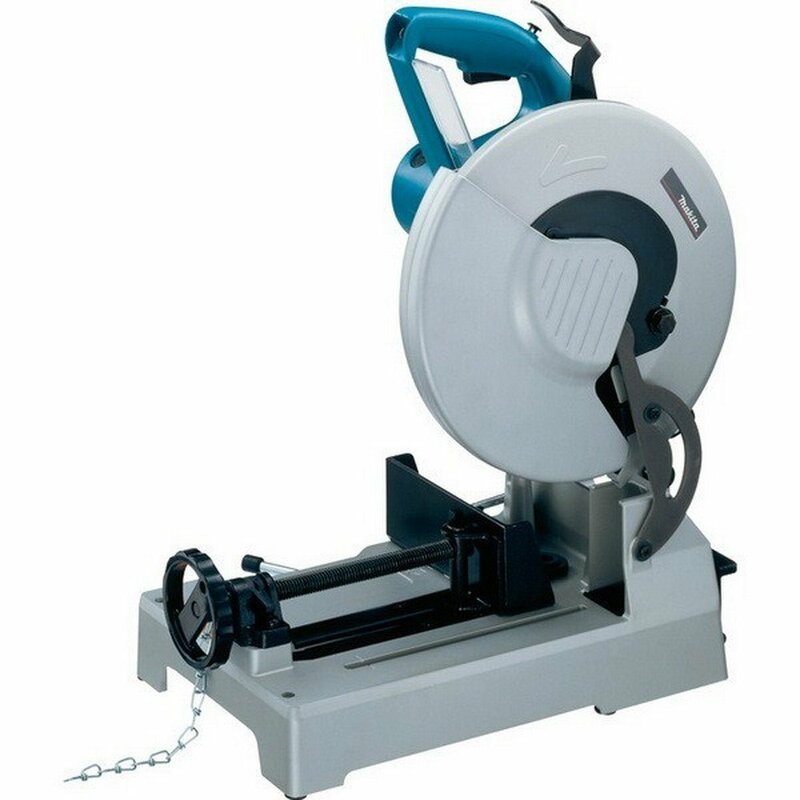 However, if you want a real heavy-duty saw, one which can make short work of a number of different materials, have a look at the Ironton Dry Cut Metal Saw. One of the priciest options in this list, this chop saw model comes handy for making precise, accurate cuts on a consistent basis. It also comes with a wide range of unique features, including cast aluminum base along with a thumb lock button. So despite its high price tag, the Ironton Dry Cut Metal Saw can give you a good value for your money. 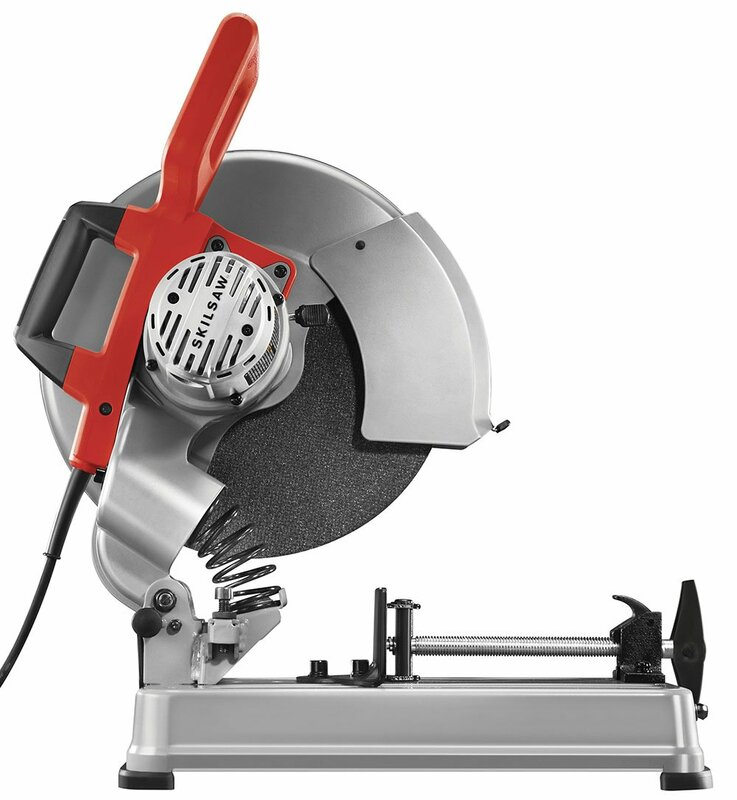 The Ironton Dry Cut Metal Saw runs on a 15AMP motor along with a carbide-tipped blade. As already mentioned, this is quite a versatile blade which, when combined with the powerful motor, makes short work of slicing through the toughest of materials. 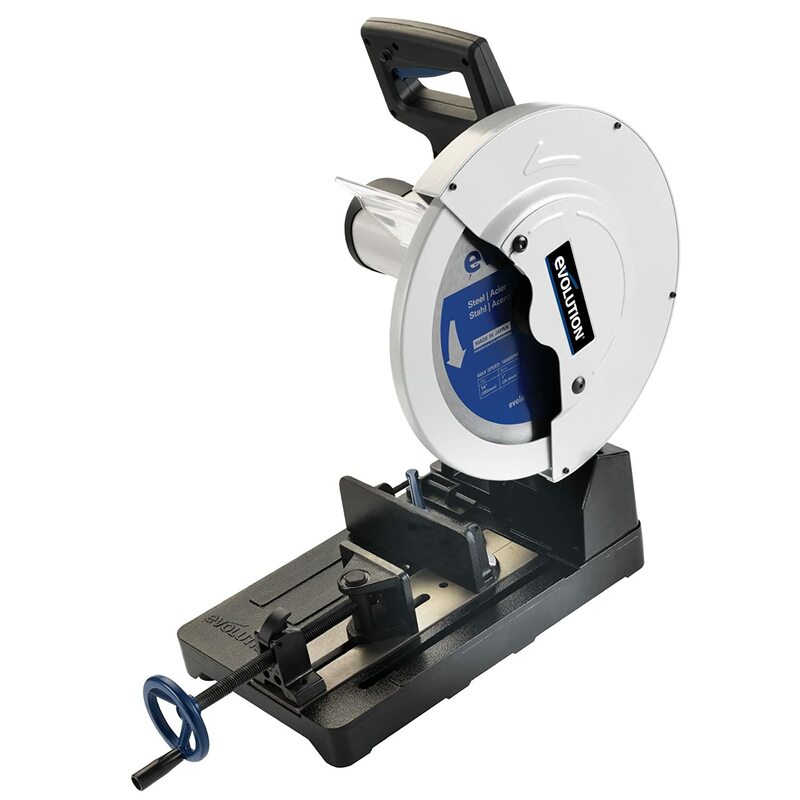 When you can use this blade for making straight cuts, a slight adjustment to the tool-free guide plate allows you to make miter cuts with the same blade. Just like a majority of other products on this list, the Ironton Dry Cut Metal Saw comes with an efficient vise grip system which keeps the materials from moving. As per its cutting capacity, this cutting tool is capable of handling round materials which are no more than 4.75 inches in size. You can also use this saw on the square stock as it comes with a maximum cutting capacity of 4.125 inches for any such material. When it comes to ensuring your personal safety, the Ironton Dry Cut Metal Saw comes with a unique mechanism. The manufacturer has basically provided a thumb lock button in this model’s design which, as its name suggests, can be operated with a single thumb. Once activated, it will keep this saw from accidental startups which eventually saves you from suffering a potential injury. Weighing in at 52lbs, the Ironton Dry Cut Metal Saw isn’t the lightest cutting tool in its category. However, when it comes to an ergonomic D-handle, everyone can operate this saw pretty easily without feeling any sort of fatigue. Additionally, the heavyweight construction of this saw provides you a solid base which won’t wobble regardless of the intensity of your cutting project. 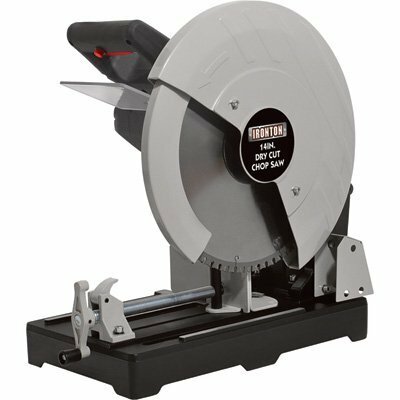 The Ironton Dry Cut Metal Saw is designed for all those customers who’re looking for a versatile chop saw. Incorporating an easy to use D-handle along with an efficient thumb lock button, this product uses a carbide tipped blade for ripping through conduit, pipes and other such materials. So as far as a versatile cutting tool is concerned, the Ironton Dry Cut Metal Saw is one of the best chop saws 2019 which you can purchase in this category. If you’re looking for a high-quality chop saw designed especially to cut through steel, have a look at the Evolution Power Tools EVOSAW380. When any such saw is going to handle a large workload on the job site, the manufacturer has designed this model with a staggering 66-tooth carbide tipped blade. Also present in this cold cut chop saw is a cast-iron fence along with an easy to adjust vise which ensures precise cutting on a consistent basis. The Evolution Power Tools EVOSAW380 features a 14-inch mild steel cutting blade which, as compared to the abrasive blades, comes with a longer lifespan. You can use this blade for making 1000 cuts and it will do its job in an imperious manner. Another thing which is quite special about this blade is the fact that it cuts cold. Even when you use this blade on mild steel, it tends to produce very few sparks. As a result, you don’t need any kind of coolant with this cold cut chop saw as you can handle the material without any hindrance. One thing which you have to keep in mind is that even though this cold cut metal saw comes with a 14-inch blade, this product has the capacity to work with 15-inch blades. However, you’ve to purchase the 15-inch blade separately as it doesn’t come included in this purchase. The Evolution Power Tools EVOSAW380 features a quick clamp vise which is pretty easy to adjust. As evident from its name, the vise assembly clamps the materials in place so you don’t require any kinds of tools for this purpose. Also present in this saw is a sturdy fence which comes handy for making angled cuts. Starting from 0 degrees, the cast-iron fence can be adjusted up to 45 degrees with the help of the attached hex wrench. Today the best chop saws come with a handful of safety features and it is no different with this one. The manufacturer has designed a special safety button alongside the trigger of the Evolution Power Tools EVOSAW380. This is basically a trigger lock which works in such a way that as long as you won’t press it with the trigger, it will prevent the saw from working. Another thing which we found quite impressive in the Evolution Power Tools EVOSAW380 is the chip shield. This shield is made of plastic and when it is designed alongside the blade, it is more than capable of keeping the chips from flying in your direction. If you’re looking for increased capacity in a cold cut metal saw, the Evolution Power Tools EVOSAW380 can be your ideal purchase. Incorporating a 14-inch blade, this saw can cut through large pieces of steel on a consistent basis. It also comes with a series of safety features and for added assurance, the manufacturer is offering a 3-year warranty on this purchase. The DEWALT DW872 is a highly versatile chop saw which is designed to cut through aluminum, steel along with various other materials. This product comes attached with a 14-inch blade which, when combined with its 15 AMP motor, makes it quite an efficient cutting tool. It runs at a no-load speed of 1,300 RPM. So whether you’re looking to purchase a versatile cutting tool or even if you want to complete your job in a short span of time, the DEWALT DW872 is worth a try. The DEWALT DW872 features a 14-inch carbide tipped blade which can be used to cut both, ferrous and non-ferrous metals. You can also use this blade on a variety of other materials and it comes with the maximum cutting capacity of 5 3/16-inches. Moreover, this blade produces burr-free cuts which eventually saves you from purchasing a coolant. Another thing which is quite impressive about this blade is that it features a lower cost-per cut value. Basically, this blade can be used for making 1200 cuts which makes it quite an efficient cutting tool. DEWALT DW872 chop saw comes with quite a flexible fence. When you can adjust the fence on either side for making miter cuts, you can also move it back and forth for attaining precise control over the cutting material. Both these adjustments can be done without any kind of tools as the fence comes with a superior locking mechanism. Not only it makes it easy to adjust the fence at your preferred position, but it also saves quite a bit of time on the longer run. For making it easy to transport, the DEWALT DW872 comes with a superior pin lock mechanism. As compared to the cheap chop saws, in which you have to use a chain for holding the handle in place, the pin lock results in a much secure arrangement. Once activated, it ensures that the saw won’t open on you when you’re transporting in from one place to the other. Hence it eventually enhances the owner’s safety of the DEWALT DW872. The DEWALT DW872 is ideal for all those of you who’s going to handle a number of different materials on their job site. Incorporating a versatile carbide-tipped blade, this product makes short work of slicing through a number of different materials which eventually allows you to finish your job without wasting any time. Last but certainly not the least product in this list, the Makita LC1230 is one of the best metal chop saws which you can purchase from the market. Incorporating a successful fusion of power, efficacy and long-term durability, this metal cutting saw allows you to cut even the densest of metal materials. It runs on a powerful 15AMP motor which allows this cutting tool to run at a no-load speed of 1300RPM. As compared to a vast majority of the metal chop saw reviews, the Makita LC1230 comes with a long-lasting blade. This is basically a 12-inch carbide tipped blade which comes with a maximum cutting capacity of 4.5-inches at 90 degrees. You can also use this blade for making miter cuts but in this case, it is capable of cutting up to 3.5-inches (at 45 degrees). The Makita LC1230 incorporates an aluminum base which comes handy for a number of reasons. First of all, this particular material makes it a lightweight cold cut saw as the overall weight of this model is just under 43 lbs. Second, it provides a solid foundation to work on which is ideal for all those customers who’re going to cut through dense metals via the Makita LC1230. It also features a quick-release vise which comes handy when you’re in a bit of hurry and cannot afford to waste much time while going from one material to the other. Makita LC1230 comes with a handful of safety features and one of them is the lock-off button. Provided alongside the two-finger trigger, this button is designed to make sure that you won’t suffer from unwelcome surprises. In simple words, it will keep the Makita LC1230 from unintentional startups. When it comes to cut metal in a wide range of industrial applications, there aren’t much better chop saws available in the market than the Makita LC1230. Backed by a powerful motor, this product runs on a sharp carbide tipped blade which is built to last. You can make both, straight as well as angled cuts, with this saw and when it comes with top-of-the-line safety features, it makes it a standout performer in the field of cutting tools.